Heady heads to race #3 of Ultrarunning Grand Slam | Runner. Writer. Renegade. For some, running the Western States 100-Mile Endurance Run would be a life accomplishment — a very big check on that bucket list. But for Cynthia Heady, this year’s WS100 was just the first step. Heady is one of just five women attempting the Grand Slam of Ultrarunning this year, a challenge to complete the country’s four oldest 100 mile races — in four months. Scattered across the country, they include Western States (California, June), Vermont (July), Leadville (Colorado, August) and Wasatch Front (Utah, September). 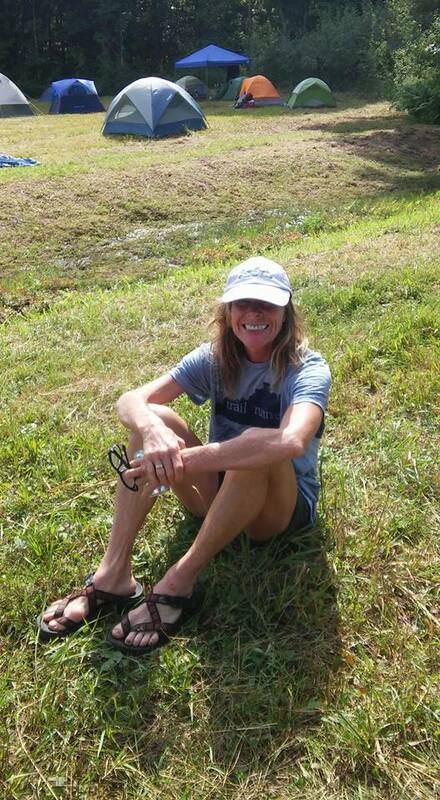 Cynthia, at age 54, is no stranger to ultrarunning, but this is her first attempt at the Grand Slam. If she completes the slam, she’ll have finished 10 100-milers. “Western States is the whole reason I decided to do the Grand Slam,” she said. Husband Todd completed the race in 1998, the same year Cynthia ran her first marathon. The next year, the duo went out for the annual Western States training run. “I knew at that point I really want to do it,” Cynthia said. But, you have to complete another 100 mile race to qualify for the lottery. She completed her first 100-miler in 2000, at the Arkansas Traveller. In 2001, your chances of getting entry through the lottery were pretty good, and Cynthia found herself on that starting line in Squaw Valley. But, 30 miles in she had gained 12 pounds through fluid retention. She was advised not to eat any more salt, and ended up hyponatremic before dropping out of the race. But Cynthia wasn’t done with Western States. “All these years, I always thought I would go back,” she said. In fact, she’s posted a qualifying race from 2009-2014 — but hadn’t been pulled in the lottery drawing. When she found out in early December that she had an entry to Western States, she figurred this might be her only shot for the Grand Slam before age makes it too difficult (if it took another five years to get in the lottery, she’d be 60 for her next attempt). In addition to working as a nurse, Cynthia and Todd own Headfirst Performance, a full-service race company in the Louisville area. They are well-known for their events, especially trail and tri — Cynthia’s specialities. In addition to her running pursuits, she’s also a four-time Ironman finisher. Since December, Cynthia has trained for the Grand Slam. On June 27, she again toed that line in Squaw Valley. This time, she came out victorious. “I felt like I had the perfect race,” she said. She opted not to wear a watch, concerned that she would end up pushing the pace and impinging on her next race — Vermont was just three weeks away. Unlike many, Cynthia ran Western States without a “crew” — friends to pace you throughout the race. Her friend Susan did a sizeable chunk at the end with her, but Cynthia said at about mile 62, she was ready for some conversation. Fortunately, another colleague who had come out to pace another runner joined her — his runner had dropped out. “I love to run alone,” Cynthia said. “I don’t listen to music, I am just in tune with everything around me.” I do most of my runs solo and only with music if I’m stuck inside — but after 100k, I think I’d be out of thoughts. Part of her strategy for the race was to lay down in every creek crossing, which were at the bottom of most downhills — a combination of lowering her core temperature plus icing the beating her quads were taking coming down. She earned her first Western States belt buckle after 27 hours and 4 minutes. Then, it was time to rest. “I wasn’t sure what to do in between,” she said, opting to take about 10 days completely off. The rest was easy running, then it was time for the 17-hour drive to Vermont. Cynthia said the Vermont 100 is a picturesque race, complete with covered bridges, dirt roads — and horses. The race is very unique in that there is simultaneously a 100 mile run AND a 100 mile ride happening. More than 300 runners and riders are using the trail at the same time. The night before the race, participants camp out in a nearby field. “It was a neat environment the night before,” Cynthia said, and the low-key atmosphere continued to the starting line, where she was standing with her cup of coffee when she realized it was time to start. For the races, Cynthia has opted to carry water and eat “real food,” most of which she gets from the aide stations. For Vermont, she threw a couple of single-serve peanut and almond butter packets in as well. The terrain was much different than Western States, she said, and felt a lot more runable — despite being continuous rolling hills, it lacked the intimidation factor of the mountains. She was running again without a watch, but in the back of her mind she wanted the special belt buckle runners get for breaking 24 hours. With 5 miles to go, she stopped at the last aide station. A volunteer encouragingly told her the cutoff was 90 minutes away. Her friend Alicia was running the last part with her and offered to use her phone as a timer. Cynthia said no, but continued to press on. But as she came into the finish area, she could see the clock — plenty of time to spare. Official time 23 hours, 31 minutes. 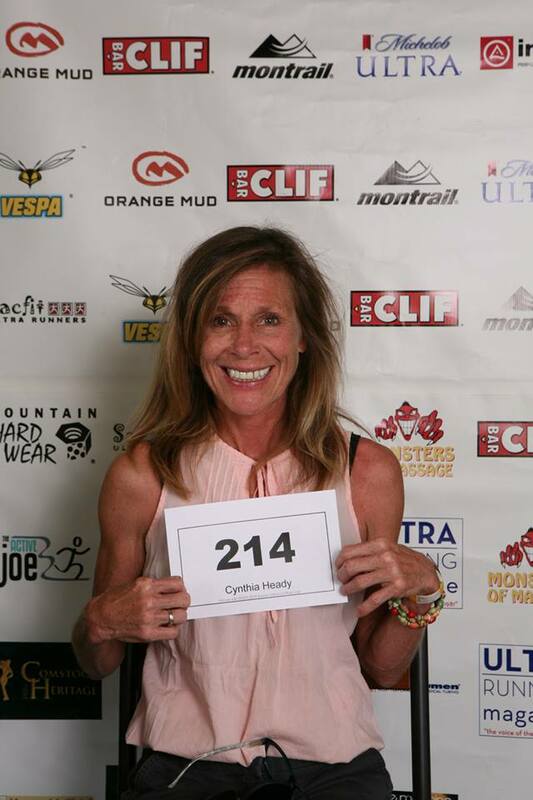 As of press time, Cynthia was headed out for the Leadville 100 in Colorado Aug. 22-23. You can follow her Grand Slam quest on the Headfirst Performance Facebook page — she and Todd have been recording video recaps after each race. By the way, anyone wanting to tackle their first hundred? Cynthia says Vermont is a great race for first timers. Info on the Grand Slam of Ultrarunning: http://www.run100s.com (includes a list of those attempting the series this year and their finish times to date). I hope to bike 100 miles someday. I can’t even imagine running 100 miles. I knew Cynthia in college. What kind of mental preparation goes into running this far? Great writing. Thanks. Cynthia was a friend from college who still inspires me with her awesome spirit and determination. Can you even imagine running 100 miles? Pingback: KY-USATF Awards – Cynthia Heady top female MUT winner! | Runner. Writer. Renegade.